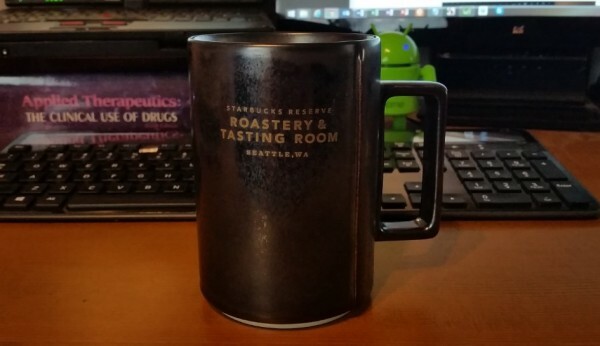 The mug below comes from the Starbucks Roastery & Tasting Room in Seattle, Washington. A friend of mine recently took me on a field trip to the roastery. Neat, neat place. It’s the kind of place I could spend an entire afternoon just kicking back, surfing the web, and drinking different coffees cup after cup. I highly recommend a visit if you’re in the area. A word of advice, don’t ask about “blond roast coffee”. Apparently they find it to be quite the abomination. Avengers: Age of Ultron was #1 at the box office last weekend. As expected it’s another blockbuster for Marvel, earning more than $300 million U.S. and an additional $600 million plus overseas since opening. It’ll easily pass the $1 billion mark worldwide by the time you read this. I haven’t had an opportunity to see Age of Ultron, but I’m looking forward to it. There’s no way in my mind that it can live up to the hype. Still, I think it’ll be a great flick. The New York Times: “For far too long, though, coffee has been considered a vice, not something that might be healthy. The newest scientific report for the U.S.D.A. nutritional guidelines…says that coffee is not only O.K. – it agrees that it might be good for you. This was the first time the dietary guideline advisory committee reviewed the effects of coffee on health.” – This is a well written article that cites quite a number of studies on the effects of coffee. Basically the data to date doesn’t support the idea that coffee is bad for you. It wouldn’t matter if it was, I’d drink it anyway. Just sayin’. The Verge: “Stephen Wolfram’s latest search tool is more impressive. It’s designed to identify anything in a picture. You just upload a photo, and get a computer-generated guess just a few seconds later.” – They’re referring to The Wolfram Language Image Identification Project, and it’s pretty cool. I decided to put it through the test by seeing how well it did identifying random images of medications in tablet form. Turned out to be quite entertaining. It identified some acetaminophen tablets as “nail polish” and an image of two ibuprofen tablets as “ball”. I don’t think it’s ready for pharmacy application just yet. Deflategate has been all over the news. Apparently the NFL has concluded that the Patriots did, in fact, cheat. No kidding. In response to the findings, the NFL levied some pretty week punishments. Brady and the Patriots will appeal the decision and most likely the punishments will get smaller still. Ultimately the final result of Deflategate is clear: winning at all cost, even cheating, is perfectly acceptable in the NFL. Welcome to the world as we know it. Strange, but I found myself spending way too much time this week playing with the color scheme generator at coolors.co. Neat website, especially if you’re looking for a way to generate a color palette for a Power Point presentation. Last week I received my first ever order from Goulet Pens. I found them online while researching fountain pens. It wasn’t a big order, but did include a bottle of Noodler’s Lexington Gray ink along with a converted Platinum Preppy Fountain Pen. I’ve been infatuated with gray ink lately. I’m sure that’ll change, as things always do, but for now it’s all about the grays. With that said, I was really interested to get my hands on the eyedropper converted Preppy. A lot of fountain pens utilize small converters to allow the use of bottled ink. An eyedropper converted fountain pen goes beyond that and allows the user to utilize the entire barrel as an ink reservoir. The video below gives a much better explanation. Dr. Oz has been taking a beating in the press lately. Some have gone as far as to call for his resignation as a faculty member at Columbia. Let’s face it, the guy has made a ton of money peddling quackery. Unfortunately the average person is quite gullible to such things and will believe just about anything they see on TV. All one has to do is look around at all the people with fruit devices to understand the truth of that. Gizmag: “Nerdalize recently teamed-up with Eneco, one of Holland’s largest utility companies, to put five internet-connected server units that look like normal radiators – called “eRadiators” – into people’s homes. The idea is, Nerdalize covers the cost of running the eRadiators and, because it has no data center to pay for staffing and maintaining, it can offer computing power that’s up to 55 percent cheaper than other server providers. The heat generated by the server’s computations while performing tasks like medical research or engineering data for example, offers a constant source of heat that’s free of charge to the occupants.” – Interesting concept. Would this be considered recycling? A friend sent me a link to reliefwatch.com. Relief watch is a simple inventory management system for tracking essential supplies in developing worlds. “Reliefwatch uses a cloud-based system to track your data in real-time, analyzed and available anywhere in the world. Best of all, our service relies on the basic mobile phones your clinic workers already have.” People can do amazing things. I’ve recently had reason to worry about the integrity of my data. I’m a “cloud guy”. I use various cloud-based storage services to sync my data between computers as well as ensure multiple copies of everything. All of that information is further protected via external drives. However, I’ve never considered using an online backup service or personal NAS until now. I’m currently looking at setting up a home NAS with something like Western Digital’s My Cloud System. The system uses Western Digital’s Red Drives and offers multiple RAID configurations; RAID 1 makes most sense for me, I think. I’m also thinking about using a web-based backup service like Crashplan. I know it sounds paranoid, but I have over 160 GB of digital photos alone. That doesn’t include all the video I’ve captured over the years. Track meets, volleyball tournaments, cheer competitions, family vacations, and so on. I’d hate to lose all that because I failed to properly secure my data. If you have any recommendations, please leave them in the comments below. Ugh, still more than 110 days until NFL opening day, as of 8:00 AM PST this morning.